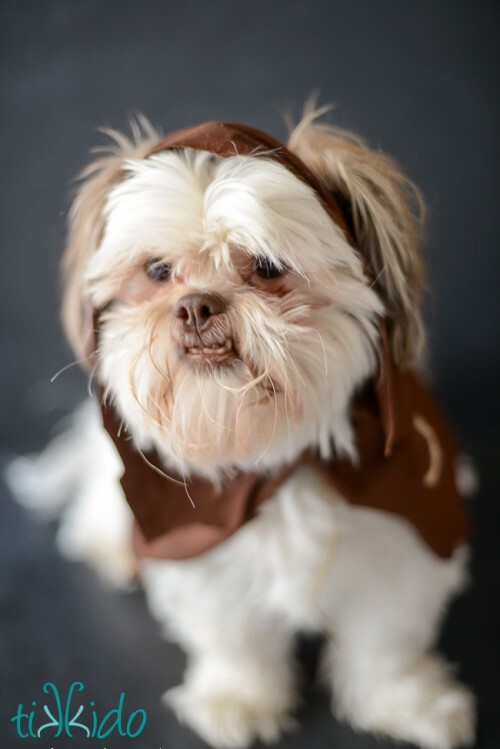 Star Wars fans, wanna have some fun? 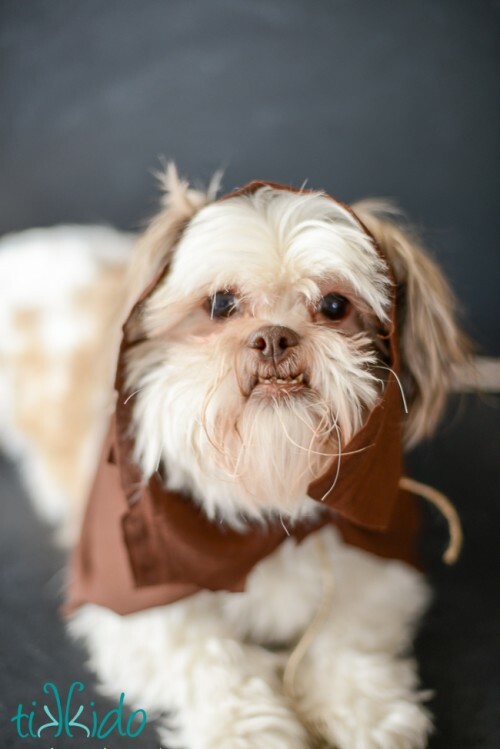 Make an Ewok costume for your dog – no sewing required! 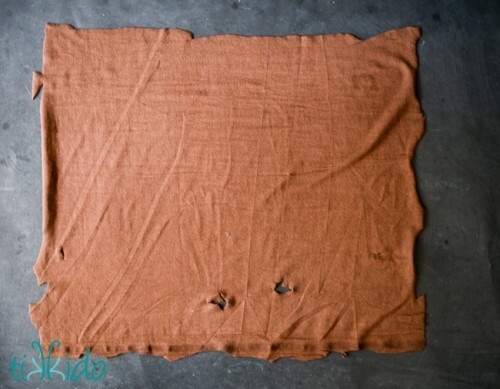 Prepare 1/2 yard of brown knit fabric, a short length of twine and scissors. 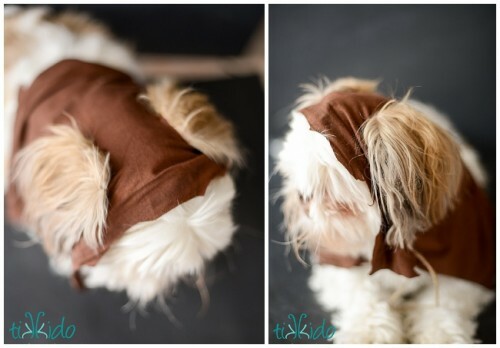 The size of your piece of fabric will be highly dependent on the size of your dog, obviously. 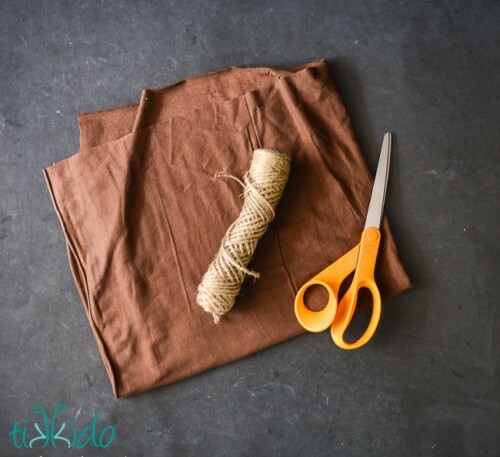 Cut out the rectangle of fabric, making purposefully ragged cuts. Cut two small holes for the dog’s ears, slightly off center. Cut two small holes on either side of the rectangle of fabric, near the edges. This will be where you thread the twine through and tie it on your dog. Pop the pup’s ears through the ear holes. Keep reading the tutorial at tikkido.com.